In partnership with Land’s Sake Farm and the Town of Weston, we’re offering a weekly nutrition class featuring fresh, locally-grown vegetables for participants. 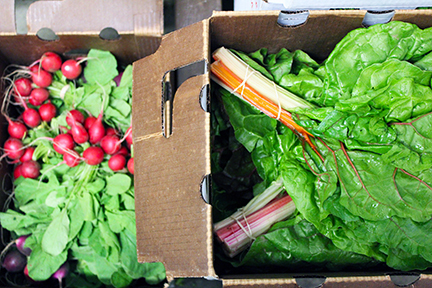 Our Farm to Fork classes are held every Thursday from 3-4pm at Community Servings. Classes run from June to October and are led by our team of RDNs who demonstrate how to prepare recipes using healthy cooking techniques and locally-grown produce. Participants will be able to taste-test recipes, and take home recipes and produce from Land’s Sake Farm.